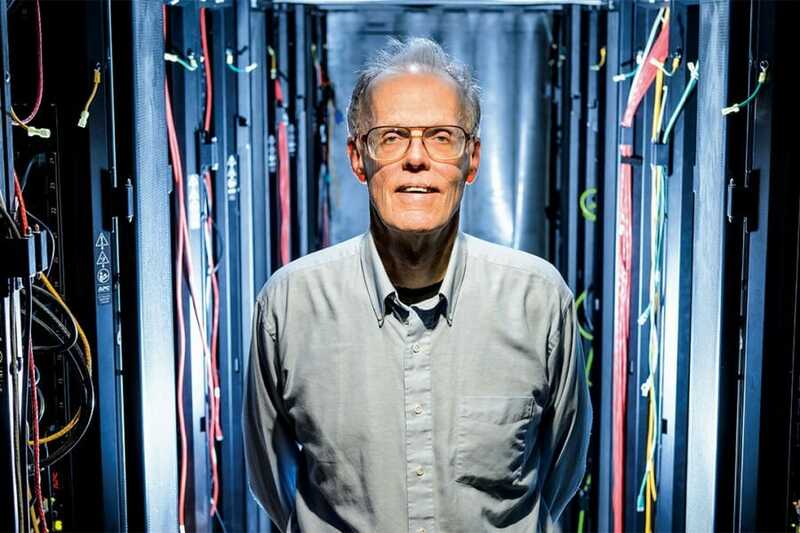 UW expert Bill Hibbard is part of a growing national conversation on AI ethics. Transparent is a word that is perhaps best understood by its opposite: opacity, secrecy, murkiness, mystery. The inability to see inside of something can provoke uncertainty, or fear, or hatred. What’s behind that closed door? A nontransparent thing can take hold of us and become the dark void under the bed of our imagination, where all the worst monsters hide — and in today’s world, those monsters are often robotic. This sort of dark, emotional underpinning seems to inform the most popular depictions of artificial intelligence in American culture today. Movies such as The Terminator or Blade Runner or Ex Machina present a future in which artificial intelligence (AI) makes life inevitably bleak and violent, with humans pitted against machines in conflicts for survival that bring devastating results. But if the fear of AI is rooted in the idea of it as something unknown and uncontrollable, then perhaps it’s time to shine a collective flashlight on Silicon Valley. And that’s exactly what UW emeritus senior scientist Bill Hibbard ’70, MS’73, PhD’95 aims to do. Hibbard’s story has a few Hollywood angles of its own. He’s overcome a difficult childhood and an addiction to drugs and alcohol that thwarted his career for almost a decade after college. In 1978, sober and ready for a reboot, Hibbard joined the UW–Madison Space Science and Engineering Center (SSEC) under the late Professor Verner Suomi, who oversaw the development of some of the world’s first weather satellites. By the 1970s, the SSEC was producing advanced visualization software, and Hibbard was deeply involved in many of the center’s biggest and most complex projects for the next 26 years. Many Americans are already applying artificial intelligence to their everyday lives, in the form of innovations such as Apple’s personal assistant, Siri; Amazon’s purchase recommendations based on customers’ interests; and smart devices that regulate heating and cooling in homes. But it’s strong AI — defined as the point when machines achieve human-level consciousness — that has some experts asking difficult questions about the ethical future of the technology. In the last decade, Hibbard has become a vocal advocate for better dialogues about (and government oversight of) the tech giants that are rapidly developing AI capabilities away from public view. In 2002, Hibbard published Super-Intelligent Machines, which outlines some of the science behind machine intelligence and wrestles with philosophical questions and predictions about how society will (or won’t) adapt as our brains are increasingly boosted by computers. 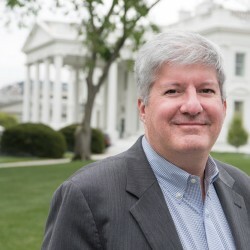 Hibbard retired from the SSEC two years later and devoted himself full time to writing and speaking about AI technology and ethics, work that has earned him invitations to various conferences, committees, and panels, including The Future Society’s AI Initiative at Harvard Kennedy School. “Bill has a strong sense of ethics, which, coupled with his programming expertise, made him uniquely aware of blind spots that others working in ethics of AI don’t necessarily emphasize,” says Cyrus Hodes, director and cofounder of the Harvard initiative. Most of the recent media coverage of AI ethics has focused on the opinions of celebrity billionaire entrepreneurs such as Elon Musk and Mark Zuckerberg, who debate whether robots will cause World War III (Musk’s position) or simply make our everyday lives more convenient (Zuckerberg’s). The debate generates headlines, but critics say it also centers the conversation on the Silicon Valley elite. 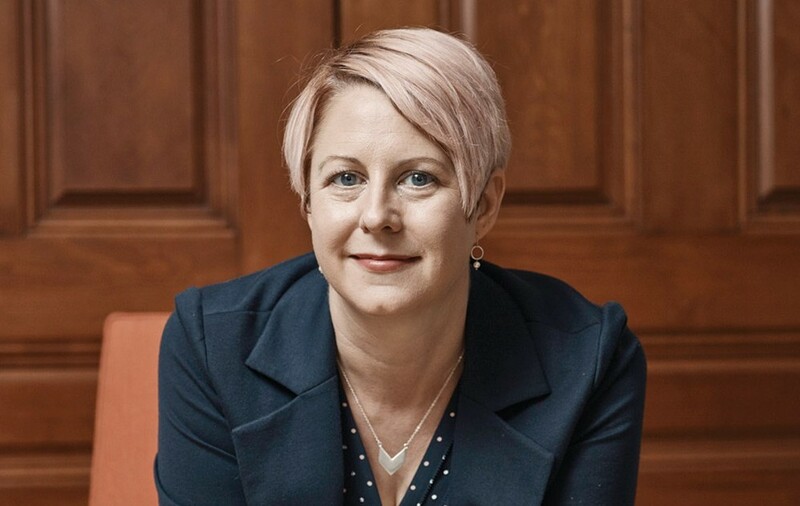 Similarly, says Molly Steenson ’94, an associate professor at the Carnegie Mellon School of Design, we’re distracted from more practical issues by too much buzz around the singularity (the belief that one day soon, computers will become sentient enough to supersede human intelligence). 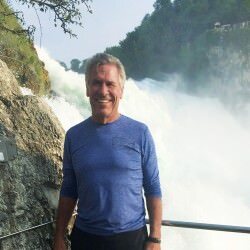 Hibbard’s background as a scientist has helped him to build the technical credibility necessary to talk frankly with AI researchers such as Goertzel and many others about the societal issues of the field. “[Hibbard’s] clear understanding and expression of the acute need for transparency in AI and its applications have also been influential in the [AI] community,” Goertzel says. “He has tied together issues of the ethics of future superintelligence with issues regarding current handling of personal data by large corporations.” And Hibbard has made this connection in a way that makes it clear how important transparency is, Goertzel says, for managing AI now and in the future, as it becomes massively more intelligent. 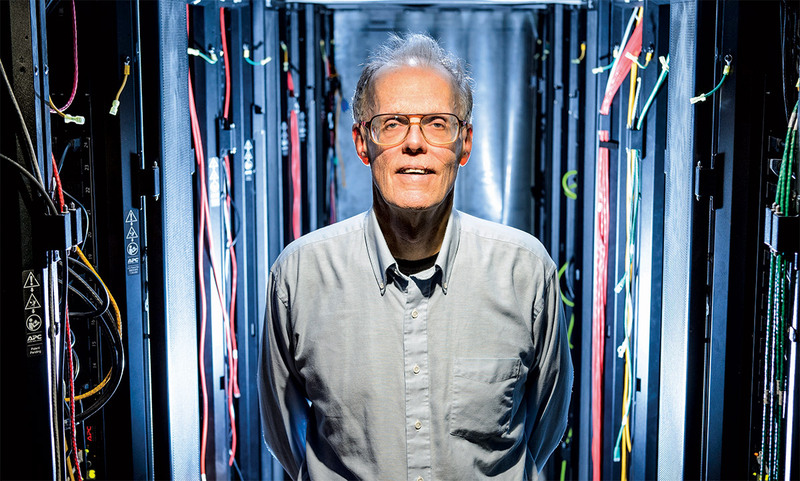 Like Hibbard, Steenson’s career in AI has its roots at the UW. In 1994, she was a German major studying in Memorial Library when fellow student Roger Caplan x’95 interrupted to badger her into enrolling in a brand-new multimedia and web-design class taught by journalism professor Lewis Friedland. Caplan, who is now the lead mobile engineer at the New York Times , promised Steenson that learning HTML would be “easy,” and she was intrigued enough to sign up. The class sparked what would become her lifelong passion for digital design and development, and Steenson went on to work for Reuters, Netscape, and a variety of other digital startups in the early days of the web. Like Hibbard, Steenson is a strong advocate for broadening AI conversations to include a more diverse cast of voices, and she thinks designers and artists are especially well equipped to contribute. She quotes Japanese engineer Masahiro Mori, who in 1970 coined the term bukimi no tani (later translated as “the uncanny valley”) to describe the phenomenon where people are “creeped out” by robots that resemble humans but don’t seem quite right. On Wisconsin asked Hibbard to list his 10 favorite films featuring artificial intelligence. A movie I hope someone will make depicting political manipulation using AI on a system resembling Facebook, Google, Amazon, or the Chinese equivalents. A.I. Artificial Intelligence (2001), because of the strong emotional connection between AI and a human, which evoked a strong emotion in this viewer. Ex Machina (2015), because of the strong emotional connection between AI and a human, used by the AI to manipulate the human. 2001: A Space Odyssey (1968), because of its insightful story. to 10. In no particular order: Her (2013); The Day the Earth Stood Still (1951); Colossus: The Forbin Project (1970); WarGames (1983); and Prometheus (2012). Many AI futurists believe that ethics is now a critical part of educating the next generation of robotics engineers and programmers. Transparency is high on the list of pressing issues related to AI development, according to Hodes, who is also vice president of The Future Society. 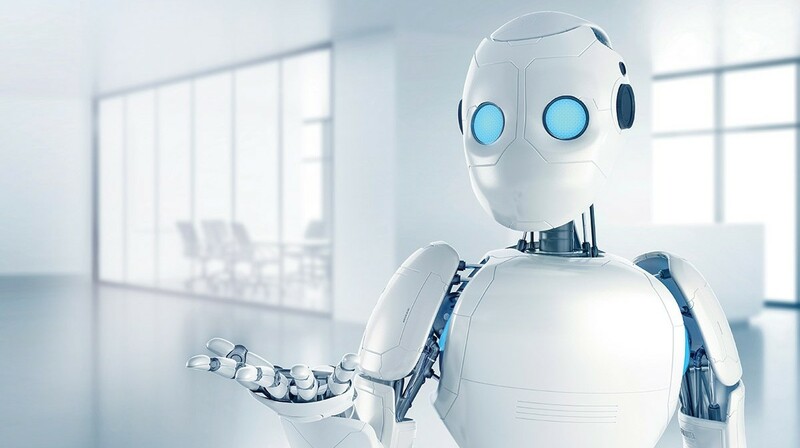 He believes that the most pressing issue as we march toward an Artificial General Intelligence (the point where a machine can perform a task as well as a human) relates to moral principles. It is vital, he says, to start embedding ethics lessons in computer science and robotics education. UW students are aware of this need. Aubrey Barnard MS’10, PhDx’19, a UW graduate student in biostatistics and medical informatics, leads the Artificial Intelligence Reading Group (AIRG), which brings together graduate students from across campus to discuss the latest issues and ideas in AI. AIRG dates back to 2002, making it the longest-running AI-related student group on campus. And while members are mostly focused on discussing the technical aspects of AI and machine learning, Barnard says this year they’ve expanded their reading list to include AI history. They’ve also cohosted an ethics discussion about technology with the UW chapter of Effective Altruism, an international charity that raises awareness and funds to address social and environmental issues. Yet he also believes that, if left unchecked, AI could become a weapon to repress instead of a tool to enlighten. Unlike what we see in the movies, which usually pit humanity against the machines, Hibbard thinks it’s more plausible that AI could cause conflict between groups of humans, especially if we decide to do things such as implanting computer chips inside of some humans (but not others) to give them faster, more powerful brains or other enhanced attributes. More immediately, though, he warns that significant social disruption could occur if robots continue to displace human jobs at a rapid rate. Sandra Knisely Barnidge ’09, MA’13 is a freelance writer in Tuscaloosa, Alabama.